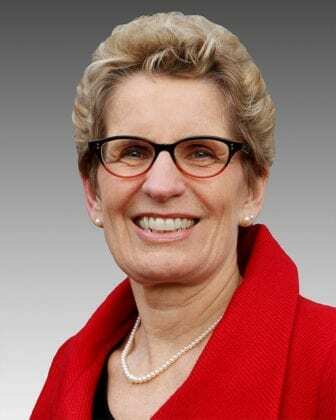 Kathleen Wynne, Premier of Ontario, announced some long-awaited details of the Canadian province’s pilot study of guaranteed minimum income on Monday, April 24, 2017, including the locations, time-frame, and general design of the study. The Government of Ontario is preparing a three-year test of a guaranteed minimum income in three regions: the city of Hamilton (southeastern Ontario, population around 537,000), Thunder Bay (northwestern Ontario, population around 108,000), and Lindsay (southeastern Ontario, population around 20,000). A press release issued on April 24 indicates that 4,000 individuals between ages 18 and 64 will be selected to participate in the study. According to Wynne, participation will be voluntary, but few other details concerning the selection of participants are currently available. Contrary to some initial speculations, it appears that the study will not include a saturation site. Up to $16,989 per year for a single person (with the amount reduced by 50% of the amount of any income earned on top of the benefit). Up to $24,027 per year for a couple (with the amount reduced by 50% of the amount of any income earned on top of the benefit). Although commonly called a “basic income pilot” — including by the Government of Ontario — the scheme to be tested bears several notable differences from a “basic income” as defined by BIEN. First, the amount of the transfer is not independent of household composition: couples will receive a smaller total amount than would two single individuals. Additionally, the amount of the transfer is not constant irrespective of means, but instead decreases with earned income. However, the scheme is importantly similar to a basic income in that receipt of the benefit is not conditional on any type of participation or work requirement (e.g. recipients do not need to demonstrate that they are working or looking for work) and in that no restrictions are placed on how recipients may spend the money received. The pilot will begin in Hamilton and Thunder Bay later in the spring, and in Lindsay in the autumn. Ontario’s plans for a pilot study of guaranteed income have been a topic of discussion in the basic income community since February 2016, when the province announced plans to fund a “Basic Income pilot” in its budget. Project advisor Hugh Segal, a former Canadian Senator, released the paper “Finding a Better Way: A Basic Income Pilot Project for Ontario” to serve as the focus of discussions on the design of the pilot in November 2016. Segal’s paper clarified that the study would most likely take the form of a negative income tax rather than a “demogrant” (commonly called a “basic income”) in which all subjects would receive a cash grant of uniform amount. Following the release of the extensive discussion paper, the provincial government held a series of public consultations, the results of which were published in March 2017. 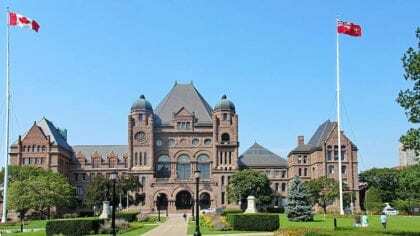 Currently, Ontario is the only region in Canada that plans to conduct a pilot of a guaranteed minimum income, although the governments of other provinces, such as Quebec and Prince Edward Island, have also expressed considerable interest. See also the News Release from the Government of Ontario: “Giving More People an Opportunity to Get Ahead and Stay Ahead: Ontario Basic Income Pilot to Launch in Thunder Bay, Hamilton and Lindsay” (April 24, 2017). Did capitalism do tests when it first came about– or was it just forced? And it’s an amazing progressive step for Ontario– but it seems unfair to play with people like they are poker chips. We all share the same present moment and the resources are supposed to be common heritage, making a basic income only a partial reparation, a significant one– but the Venus Project gives the full picture of what rights belong to a human. BIEN and the Free Software Foundation and the Venus Project are real progressive causes. Practicality is a “progressive” cause. We could also ask the same about original welfare states. The interest in running controlled experiments before launching a social policy is fairly new, and I think you’re right to be critical–by no means clear that it’s always for the best. What your article fails to mention is that the Province has announced that 70% of the people they will chose to be participants are employed in some capacity. Here is an excerpt from a column in the Toronto Star by Thomas Walkom. “Entitled “Giving more people the opportunity to get ahead and stay ahead,” the scheme would provide no-strings-attached subsidies to roughly 4,000 people selected randomly from three areas across the province. To qualify, single people would have to make less than $34,000 a year. Couples would have to make less than $48,000 annually. They need not be disabled or unable to work. In fact, the government expects that 70 per cent of the recipients will have jobs. But since these jobs don’t provide a living wage, the government will fill part of the gap”. Happy to see the article stating that this pilot project is not quite a genuine Basic Income as most of us understand that to be. In fact, for now, some 96% of Ontarians living on social assistance will not gain anything from this effort, and will continue to live far under the poverty line as only a 2% increase to rates has been announced. Many of us see this as just another stalling tactic for this government that has toyed with poverty reduction for several years now but failed to make any substantial improvements for those living in poverty in the province, a total of nearly one billion people. Thanks for the additional information, Deb. I had not seen that article when I wrote the announcement for Basic Income News. Let me know if you happen to know the original source of that 70% statistic. I’m glad you appreciated the clarification regarding the difference between the piloted program and a “basic income” in BIEN’s sense. The term has different conventional meanings in different regions, which can cause reporting on the topic to be too often confusing (or confused). Kate, I would love to find the source for that 70% statistic. I will keep looking and post it here (if I ever find it, I’ve read so much about BI it’s all a blur at this point). I emailed the writer of the article, Tom Walkom. He directed me to this article where it states it was the Community and Social Services Minister who confirmed that percentage. His note said this: “The 70 per cent figure is from Minister Jaczek and is cited in this story”. Thanks for prodding me to find the basis of that statement, it’s important. Niagara region has the highest unemployment rate and they were not chosen to participate I wonder why? I don’t know myself. If I happen across any detailed reports on why the Ontario Government chose the sites it did, we’ll be sure to share it on Basic Income News. It was indeed considered. Hugh Segal initially made the following recommendation: “The pilot should also include saturation sites…. Ideally, one saturation site would be located in southern Ontario, one in northern Ontario, and one would be chosen and planned in close collaboration with First Nations communities” (see: https://www.ontario.ca/page/finding-better-way-basic-income-pilot-project-ontario). Our governments will screw this up like they screw up everything when trying to appease an ignorant society while battling restrictions about money. Trying to ‘work out’ the money angle is what keeps man down. Money should be confiscated from the people who have too much and used to grow people. As opposed to them starving by the age of five. People who can’t afford an education might have saved the world. are they trying to achieve? – Is the 50% reduction in BI in addition to the normal tax rate (which might lead to disincentives)? – What is standard take home at various income levels verses expectation under the BI project? – The BI dollar amounts are very specific. How were they arrived at? – Can someone either leave the program or leave the area and stay in the program? I suspect that cherry-picking an area or an income group will not be that helpful, if the objective is to roll out the program nationally. Imagine if every citizen can go to sleep at night, and not worry if they will have enough money to pay their rent. One step up on Maslow’s Hierarchy of needs. Personally, I’ve been able to work and save my money over the years, but prior to then when times were tough, I sometimes wondered if I would ever survive in this world.